May is here, and I’m overcome with the fear of the unknown and a nostalgia for my childhood. This feeling is a year-round thing; it isn’t May-specific, as if it decided to camp out inside me because the weather has been lovely in my part of the world. However, I feel the full brunt around this time of the year. I blame it on my birthday (and partly on “It’s Gonna Be May” meme for making me nostalgic). THE THREE C’S: CANDID CONVERSATIONS WITH CEE | Are Reading Challenges Really Good For Our Health? to get TBR list down to a manageable number. to read books they wouldn’t usually read (I’m talking about specific reading challenges like debut author or series). 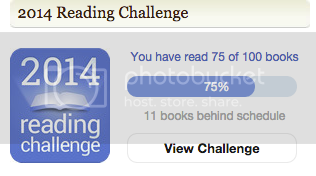 to beat others’ book count (which I don’t see a lot of people doing, so that’s good!). Spooky/scary books and I are not a match made in heaven. When I was putting together this post, I noticed that I rarely read any. I actively avoid it since I scare easily. Not gonna read in case of nightmares. I usually decide not to read a book if it has a really scary cover. I refuse to touch it, almost believing that if I did, the scariness of the cover will seep into my veins and haunt me. It’s weird, I know. Here are spooky/scary books I read (and remember reading).